Fantastic collection. What a privelege to live where there are so many photo opportunities. Super collection, interesting subject. 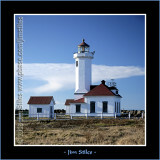 V.
Fine gallery that will hopefully be expanded,with more beautiful shots, lighthouses always fascinated me.